Spring wood is a small area of ancient woodland just a few minutes drive from my house. 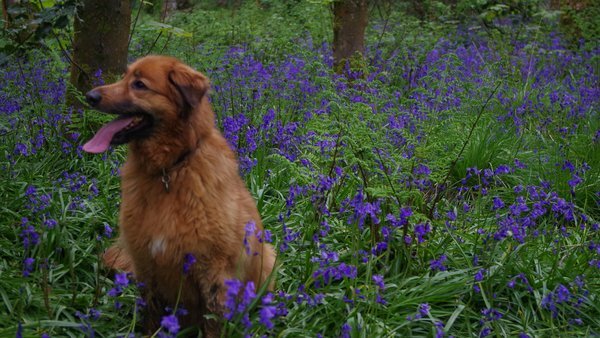 At this time of year the whole area is filled with Bluebells and Wild Garlic. 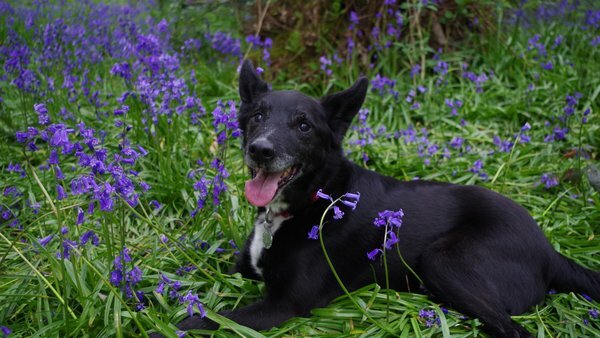 It’s very beautiful and strange, and also the dog’s really enjoy it. 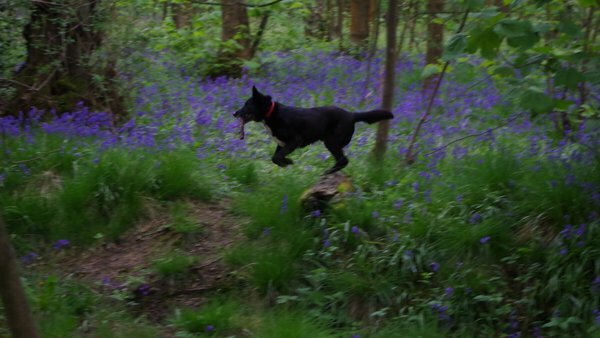 Shep leaping over a log carrying a stick. Sasha showing off her good looks. 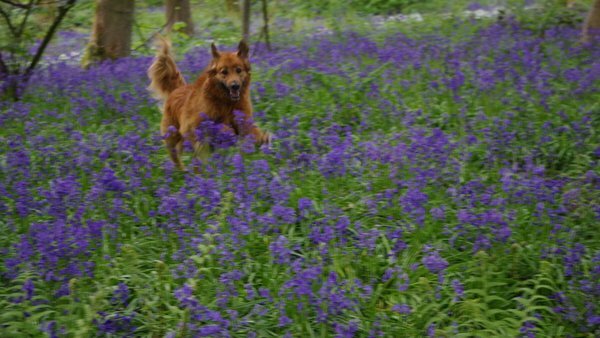 Sasha bounding through the bluebells. 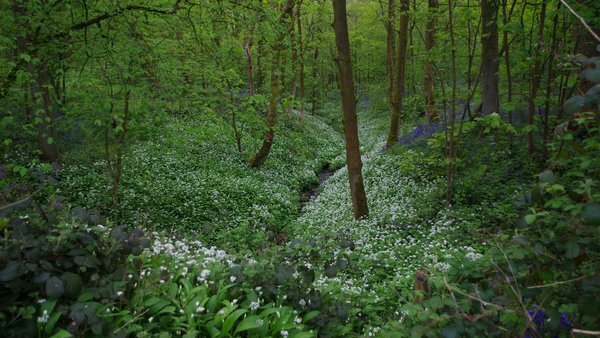 The wild garlic makes strange paths of white though the purple and green.